The Sokkia SHC2500 Data Collector with Spectrum Survey Field (SSF) Complete software satisfies surveyors and engineers requiring precise land measurements with universal controller ideal for robotic total stations. This rugged handheld field computer combines the functionality of an alphanumeric keyboard, a Windows operating system, surveying software, a digital camera, wireless communications and networking capabilities to gather accurate field data even in extreme weather conditions. 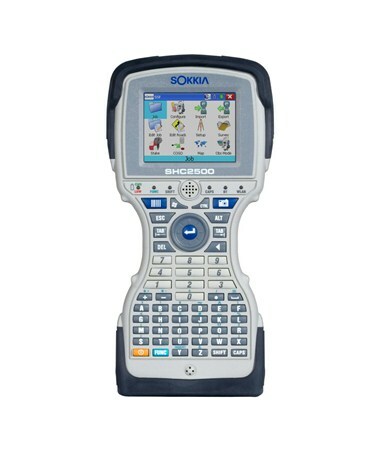 The Sokkia SHC2500 has a microprocessor, internal memory, wireless features and Windows OS. This device is lightweight and battery powered, making it very easy to carry and use in the field. In conjunction with total stations or GPS systems, it can transfer collected data to a personal computer for viewing, analyzing and editing. With a full alphanumeric keyboard and built-in Bluetooth technology, the Sokkia SHC2500 is the ideal robotic total station controller. In fact, you can connect this field controller to long-range Bluetooth devices from Sokkia like the new SX-105T 5-Second Robotic Total Station. 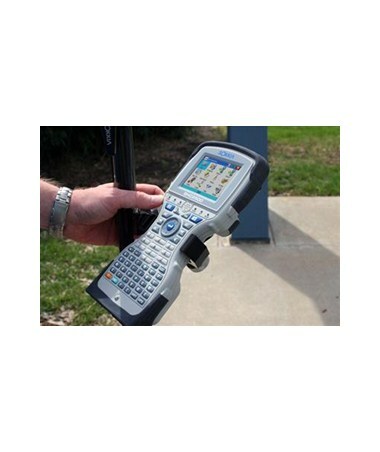 For fast and accurate data entry, the large keys are easy to operate even with gloved hands. It also features an LCD touch screen display that provides excellent visibility, even in direct sunlight. This portable data collector has a built-in Wi-Fi so you can use it in a hotspot area to surf the Internet, check weather, e-mail files back to the office and more. It also has a 5-megapixel camera that doubles as a bar code scanner and a USB miniport for transferring files through a USB stick or Microsoft’s ActiveSync connection. Loaded with all the speed and memory needed to accelerate data collection, the SHC2500 comes standard with a 624MHz XScale processor, 256MB RAM and 2GB flash storage memory. It is also equipped with a Windows CE.NET 5.0 operating system that provides a modern interface, processes higher resolution images and adds compatibility with other application software. The simple and familiar functionality leads to a short learning curve because popular mobile versions of Microsoft Word, PowerPoint, Excel and Adobe PDF Reader are available on this field surveying data collector. Spectrum Survey Field Complete on-board is the ultimate field software with all the features and functions of SSF Basic, PRO, RTS and GPS+. It speeds up surveying with its superior data management that gives the freedom to create, edit, upload and download field data with ease. This on-board data collection software allows you to connect to Sokkia’s entire field sensor portfolio. It stores the full configuration settings for each device and recalls them with just a single tap on the interface, allowing you to easily choose the right tool for the job. In addition, this field controller software enables the SHC2500 to run a number of third party applications, such as generic mapping programs, GPS navigation and roading functions. With its large graphical interface, you can simply touch the icons on the screen or use a stylus pen. SSF Complete also supports all major field data file formats and it works with Photo Notes, which automatically integrates field measurements into your captured images. Don’t worry about your survey data getting corrupted or erased because the entire field controller is sealed and water resistant. With an IP-67 rating, it is submersible in up to 3 feet of water for 30 minutes and can withstand sand or dust for at least 8 hours of operation. The Sokkia SHC2500 also meets rigorous military standard for extreme temperatures, shock and drops from up to 4-feet high! Its double wall case construction seals the device against environmental hazards, enabling you to use it even in bad weather. With two 2500mAH Li-ion rechargeable batteries, battery performance on this Sokkia data collector can be as high as 50 hours! 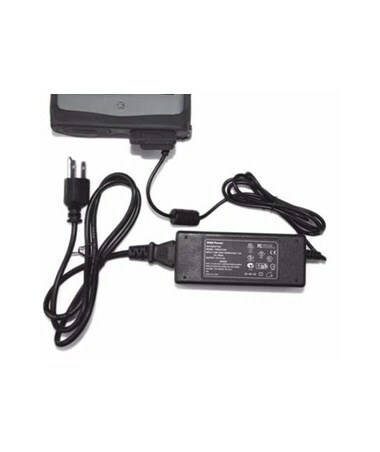 But power-hungry features may alter the result, for instance, a typical power drain from a Bluetooth connection to a GPS receiver will limit the operation time for 24 hours. The batteries are also removable so you can replace them in the field without turning off the device. In addition, overcharging will never be an issue because the SHC2500 has internal temperature monitors that prevent any unexpected high temperature issues. This Sokkia SHC2500 exclusive package comes with a carrying bag, stylus pen, USB download cable, USB flash drive adapter, hand strap, screen protectors, two rechargeable batteries, charger and 1-year manufacturer’s warranty.